The abrupt announcement that Saudi Arabia, Egypt, Bahrain, UAE, Yemen, the Maldive Islands, and the eastern government in divided Libya have broken all economic and political ties with Qatar has given rise to a tsunami of conjecture, wild speculation, and most of all, to wishful thinking and doomsday worries. There is also a veil of confusion arising from mystifying reports that hackers with alleged Russian connections placed a fake news story that implicated Qatar in the promotion of extremist groups in the region. Given Russian alignments, it makes no sense to create conditions that increase the credibility of anti-Iran forces. And finally the timing and nature of the terrorist suicide attacks of June 7th on the Iranian Parliament and on the tomb of Ayatollah Khomeini adds a particularly mystifying twist to the rapidly unfolding Qatar drama, especially if the ISIS claim of responsibility is substantiated. Four preliminary cautionary observations seem apt: (1) the public explanation given for this rupture is almost certainly disconnected from its true meaning. That is, the break with Qatar is not about strengthening the anti-ISIS, anti-extremist coalition of Arab forces. Such an explanation may play well in the Trump White House, but it is far removed from understanding why this potentially menacing anti-Qatar regional earthquake erupted at this time, and what it is truly about. (2) Any claim to provide a clear account of why? And why now? should be viewed with great skepticism, if not suspicion. There are in the regional context too many actors, crosscurrents, uncertainties, conflicts, mixed and hidden motives and contradictions at play as to make any effort at this stage to give a reliable and coherent account of this Qatar crisis bound to be misleading. (3) Yet despite these caveats, there are several mainly unspoken dimensions of the crisis that can be brought to the surface, and sophisticate our understanding beyond the various self-serving polemical interpretations that are being put forward, including the centrality of Israeli-American backing for a tough line on Iran and the realization that Gulf grievances against Qatar have been brewing for recent years for reasons unrelated to ISIS, and led to an earlier milder confrontation in 2014 that was then quickly overcome with the help of American diplomacy. And (4) The anti-Iran fervor only makes sense from the perspective of the Gulf monarchies (other than Qatar) and Israel, but seems radically inconsistent with American regional interests and counter-ISIS priorities—Iran is not associated with any of the terrorist incidents occurring in Europe and the United States, and ISIS and Iran are pitted against each other on sectarian grounds. Intriguingly, neither Saudi Arabia, the United Arab Emirates (UAE), nor Israel, that is, the principal antagonists of Qatar, have been ever targeted by ISIS. The main contention of the anti-Qatar Arab governments, led by Saudi Arabia, is that this coordinated diplomatic pushback is motivated by anti-terrorist priorities. On its face this seems to be a ridiculous claim to come from the Saudis, and can only make some sense as part of a calculated effort to throw pursuing dogs in the hunt for ISIS off a course that if followed would inevitably implicate the Riyadh government. It has long been known by intelligence services and academic experts that it is Saudi Arabia, including members of its royal family, that have been funding Jihadi extremism in the Middle East and has for many years been spending billions to spread Salifist extremism throughout the Islamic world. By comparison, although far from innocent or consistent of terrorist linkages, as well as being internally oppressive, especially toward its migrant foreign workers, Qatar is a minor player in this high stakes political imbroglio. For the Saudis to take the lead in this crusade against Qatar may play well in Washington, Tel Aviv, and London, but fools few in the region. Trump has with characteristic ill-informed bravado has taken ill-advised credit for this turn against Qatar, claiming it to be an immediate payoff of his recent visit to the Kingdom, ramping up still further the provocative buildup of pressure on Iran. To claim a political victory given the circumstances rather than admit a geopolitical faux pas might seem strange for any leader other than Trump. It is almost perverse considering that the al-Udeid Air Base is in Qatar, which is the largest American military facility in the Middle East, operated as a regional command center actively used in bombing raids against Iraq and Afghanistan, and serviced by upwards of 10,000 American military personnel. Netanyahu warmongers will certainly be cheered by this course of events and Israel has not hidden its support for the anti-Qatar moves of the Gulf Cooperation Council (GCC). It achieves two Israeli goals: its longtime undertaken to encourage splits and disorder in the Arab world and its campaign to maximize pressures on Iran. Interestingly, Jeremy Corbyn at the start of the week when the momentous British elections are scheduled to take place, called on Teresa May to release a report (prepared while David Cameron was prime minister), supposedly an explosive exposure of Saudi funding and support for Islamic extremism in the Middle East. All in all, a first approximation of the Qatar crisis is to view it as a desperate move by Riyadh to get off the hot seat with respect to its own major responsibility for the origins and buildup of political extremism in the Middle East, which has indirectly produced the inflaming incidents in principal European cities during the last several years. Such a move to isolate and punish Qatar was emboldened by the blundering encouragement of Donald Trump, whether acting on impulse or at the beckoning of Israel’s and Saudi leaders, confusing genuine counter-terrorist priorities with a dysfunctional effort to push Iran against the wall. Trump seems to forget, if he ever knew, that Iran is fighting against ISIS in Syria, has strongly reaffirmed moderate leadership in its recent presidential elections, and if Iran were brought in from the cold could be a major calming influence in the region. True, Iran has given support to Hezbollah and Hamas, but except in Syria not with much effect, and on a scale far smaller than what other actors in the region have been doing to maintain their control and push their agendas. In effect, if Washington pursued national interests in the spirit of political realism, it would regard Iran as a potential ally, and put a large question mark next to its two distorting ‘special relationships,’ with Saudi Arabia and Israel. In effect, reverse its regional alignments in a way that could replace turmoil with stability, but this is not about to happen. The American media, and thoughtful citizens, should at least be wondering ‘why?’ rather than staring into darkness of a starless nighttime sky. But this is not all. The Saudis, along with the UAE and Egypt, have long resented and maybe feared the early willingness of Qatar to give some sanctuary and aid and comfort to various elements of the Muslim Brotherhood and Hamas. It is hardly farfetched to assume that Israel is outraged by the Emir of Qatar’s friendship and earlier support for the Hamas exiled leader, Khaled Mashaal. Saudi Arabia strives to obscure its incoherent approach to political Islam. It loudly proclaims Sunni identity when intervening in Syria, waging war in Yemen, and calling for confrontation with Iran, while totally repudiating its sectarian identity when dealing with societally or democratically oriented Islamic movements in neighboring countries. Such an anti-democratiing orientation was dramatically present when Riyadh and Abu Dhabi scolded Washington for abandoning Mubarak’s harsh authoritarian secular rule in Egypt back in 2011 and then welcoming the anti-Morsi coup led by General Abdel Fattah el-Sisi two years later, even welcoming its bloody suppression of Sunni adherents of the Muslim Brotherhood. As has been long obvious to close and honest observers of the Kingdom, the Saudi monarchy has become so fearful of an internal uprising challenging its oppressive rule that it will oppose any liberalizing or democratizing challenge anywhere in its neighborhood. The Kingdom is particularly wary of its Shia minority that happens to be concentrated in locations near where the main Saudi oil fields are located. Similar concerns also help explain why Bahrain behaves as it does as it also fearful of a domestic Shia led majority opposition, which has made it a strategically dependent, yet ardent, adherent of the anti-Qatar coalition. Also far more relevant than acknowledged is the presence of Al Jazeera in Doha, which at various times has voiced support for the Arab Uprisings of 2011, criticism of the Israeli practices and policies toward the Palestinians, and provided an Arabic media source of relatively independent news coverage throughout the region. Qatar is guilty of other irritants of the dominant Gulf political sensibility. It has arranged academic positions for such prominent Palestinian dissidents as Azmi Bashara and more than its neighbors has given welcome to intellectual refugees from Arab countries, especially Egypt. Given the way the Gulf rulers close off all political space within their borders it is to be expected that they find the relative openness of Qatar a threat as well as consider it to be a negative judgment passed on their style of governance. Qatar is very vulnerable to pressure, but also has certain strengths. Its population of 2.5 million (only 200,000 of whom are citizens), imports at least 40% of its food across the Saudi border, now closed to the 600-800 daily truck traffic. Not surprisingly, this sudden closure has sparked panic among Qataris, who are reportedly stockpiling food and cash. The Doha stock market dropped over 7% on the first day after the Gulf break was announced. Qatar is the world’s largest exporter of liquefied natural gas, and is a major source of Turkish investment capital. Western Europe is wary of this American project to establish an ‘Arab NATO,’ and sees it as one more manifestation of Trump’s dysfunctional and mindless impact on world order. What this portends for the future remains is highly uncertain. Some look upon these moves against Qatar as a tempest in a teapot that will disappear almost as quickly as it emerged. The U.S. Secretary of State, Rex Tillerson, and the Secretary of Defense, Jim Mattis, have urged mediation and offered reassuring comments about anti-ISIS unity remaining unimpaired. It is true that the existence of the Udeid Air Base in Qatar may in time dilute deference to the Saudi-led desire to squeeze the government in Doha, possibly to the point of its collapse. A more fearsome scenario is that the Trump encouraged confrontation sets the stage for a coup in Qatar that will be quickly supported by Washington as soon as Riyadh gives the green light, and will be promoted as part of the regional buildup against Iran. The notorious ceremony in which King Salmon, Trump, and Sisi were pictured standing above that glowing orb with their arms outstretched can only be reasonably interpreted as a pledge of solidarity among dark forces of intervention. Many of us supposed that George W. Bush’s policy of ‘democracy promotion’ that provided part of the rationale for the disastrous 2003 attack on Iraq was the low point in American foreign policy in the Middle East, but Trump is already proving us wrong. While this kind of ‘great game’ is being played at Qatar’s expense in the Gulf, it is highly unlikely that other major players, especially Iran, Russia, and Turkey will remain passive observers, especially if the crisis lingers or deepens. Iran’s foreign minister, Javad Mohammed Zarif, has non-aggressively tweeted to the effect that “neighbors are permanent; geography can’t be changed,” stating his view that the occasion calls for dialogue, not coercion. If the isolation of Qatar is not quickly ended, it is likely that Iran will start making food available and shipping other supplies to this beleaguered tiny peninsular country whose sovereignty is being so deeply threatened. Russia, has been long collaborating with Iran in Syria, will likely move toward greater solidarity with Tehran, creating a highly unstable balance of power in the Middle East with frightening risks of escalation and miscalculation. Russia will also take advantage of the diplomatic opportunity to tell the world that the U.S. is seeking to raise war fevers and cause havoc by championing aggressive moves that further the ambitions of Saudi Arabia, Egypt, and Israel. Such Russian diplomacy is likely to play well in Europe where Trump’s recent demeaning words in Brussels to NATO members made the leading governments rethink their security policies, and to view the United States as an increasingly destabilizing force on the global stage, such feeling being reinforced by the U.S. withdrawal from the Paris Climate Change Agreement. Turkey seems to believe that its immediate effort should be similar to that of the Tillerson and Mattis approach, having tentatively offered to mediate, and advocates finding a way back to a posture of at least peaceful co-existence between Qatar, the Gulf, and the rest of the Arab world. Turkey has had a positive relationship with Qatar, which includes a small Turkish military facility and large Qatari investments in the Turkish economy. To cool things down, the Foreign Minister of Qatar, Sheik Mohammed bin Abdulrahman Al-Thani, while denying the allegations, has also joined in the call for mediation and even reconciliation. Bowing to Gulf pressures, Qatar has prior to the current crisis withdrawn its welcome from Hamas and Muslim Brotherhood exiles, and seems poised to yield further to the pressures of the moment, given its small size, political vulnerability, and intimations of possible societal panic. 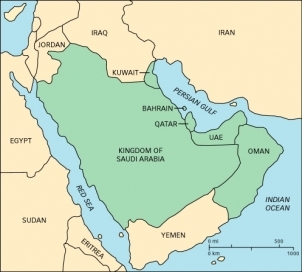 While the civilian population of Yemen is faced with imminent famine as an intended consequence of the Saudi intervention, the Saudis seems to be again using food as a weapon, this time to compel Qatar to submit to its regional priorities and become a GCC team player with respect to Iran—joining in the preparation of a sectarian war against Iran while maintaining a repressive hold over political activity at home. One preliminary takeaway is that ISIS dimension is serving as a smokescreen to draw attention away from a far more controversial agenda. The Saudis are deeply implicated in political extremism throughout the region, having likely paid heavily for being treated, temporarily at least, as off limits for Jihadi extremism. Qatar, too is tainted, but mainly by being a minor operative in Syrian violence and in 2015 paying ISIS an amount rumored to be as high as $1 billion to obtain the release of 26 Qataris, including members of the royal family, taken hostage while on a falcon hunting party, of all things, in Iraq. We can gain some glimmers of understanding of what is motivating these Arab governments to act against Qatar, but little sympathy. In comparison, the new U.S. foreign policy in the region defies any understanding beyond its adoption of a cynical and unworkable geopolitical stance, which certainly does not engender any sympathy from the victimized peoples of the region, but rather fear and loathing. I never knew Zbigniew Brzezinski well, and was certainly not a friend, hardly an acquaintance, but we interacted on several occasions, directly and indirectly. We were both members of the Editorial Board of Foreign Policy magazine founded in 1970 during its early years, which featured lively meetings every few months at the home of the founding co-Chair, a liberal banker named Warren Damien Manshel (the other founding co-Chair was his Harvard friend from graduate school, Samuel Huntington). I was a kind of outlier at these meetings, which featured several editors who made no secret of their ambition to be soon chosen by political leaders to serve at the highest levels of government. Other than Zbig the editor who flaunted his ambition most unabashedly was Richard Holbrook; Joseph Nye should be included among the Washington aspirants, although he was far more discreet about displaying such goals. In these years Zbig rose to prominence as the intellectual architect and Executive Director who together with David Rockefeller established The Trilateral Commission in 1973. The Trilateral Commission (North America, Western Europe, and Japan) was best understood as a global capitalist response to the Third World challenge being mounted in the early 1970s with the principal goal of establishing a new international economic order. Brzezinski promoted the idea that it was important to aggregate the capitalist democracies in Europe along with Japan in a trilateral arrangement that could develop a common front on questions of political economy. On the Commission was an obscure Georgia governor, Jimmy Carter, who seemed handpicked by this elite constellation of forces to be the Democratic Party’s candidate for president in 1976. It was natural for Brzezinski to be a foreign policy advisor to Carter during his campaign and then to be chosen as National Security Advisor (1977-1981) by President Carter. Less than a year later I was asked to accompany Andrew Young to Iran with the hope of securing the release of the Americans being held hostage in the embassy in Tehran. The mission was planned in response to Ayatollah Khomeini’s hint that he would favor negotiating the release of the hostages if the U.S. Government sent an African American to conduct the negotiations. Young, former ambassador to the UN, was the natural choice for such an assignment, but was only willing to go if the White House gave a green light, which was never given, and the mission cancelled. At the time, the head of the Iran desk in the State Department told me privately that “Brzezinski would rather see the hostages held forever than see Andy Young get credit for their release.” Of course, I have no way of knowing whether this was a fair statement or not, although this career bureaucrat spoke of his frustrating relationship with Brzezinski. Of course, there was never an assurance that if such a mission had been allowed to go forward, it would have been successful, but even in retrospect it seemed to warrant a try, and might have led to an entirely different U.S./Iran relationship than what has ensued over the past 38 years. While attending a conference on human rights at the Carter Center a decade later, I had the good fortune to sit next to President Carter at dinner, and seized the opportunity to ask him about his Iran policy, and specifically why he accepted the resignation of Cyrus Vance who sought a more moderate response to Iran than was favored by Brzezinski. Carter responded by explaining that “Zbig was loyal, while Vance was not,” which evaded the question as to which approach might have proved more effective and in the end beneficial. It should be remembered, as was very much known in Tehran, that Brzezinski was instrumental in persuading Carter to call the Shah to congratulate him on his show of toughness when Iranian forces shot and killed unarmed demonstrators in Jaleh Square in an atrocity labeled ‘bloody Friday,” and seen by many in Iran as epitomizing the Shah’s approach to security and the Iranian citizenry. It is against this background that I take note of Zbigniew Brzezinski’s death at the age of 89 by finding myself much more favorable to his role as foreign policy and world order commentator in recent years than to my earlier experiences during the Cold War and Iranian Revolution. It is natural to compare Brzezinski with Henry Kissinger, the other foreign-born academic who rose to the top of the foreign policy pyramid in the United States by way of the Council on Foreign Relations and the American establishment. Kissinger was less eager than Brzezinski to defeat the Soviet Union than to create a stable balance, and even went so far as to anger the precursors of the alt-right by supporting détente and arms control during the Nixon years. Somehow, Kissinger managed to transcend all the ideological confusion in the United States to be still in 2017 to be courted and lionized by Democrats, including Hilary Clinton, and Republicans, including Trump. Despite being frequently wrong on key foreign policy issues Kissinger is treated as an iconic figure who was astonishingly able to impart nonpartisan wisdom on the American role in the world despite the highly polarized national scene. Brzezinski never attained this status, and maybe never tried. 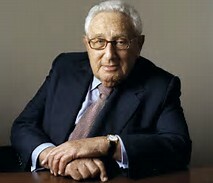 Despite this unique position of eminence, Kissinger’s extensive writings on global trends in recent years never managed to grasp the emerging complexity and originality of world order after the collapse of the Soviet Union. His line of vision was confined to what could be observed by looking through a neo-Westphalian prism. From this perspective Kissinger has been obsessed with China’s rise and how to reach a geopolitical accommodation with this new superpower so that a new statist balance of power with a global scope takes hold. In my view, late Brzezinski developed a more sophisticated and illuminating understanding of the post-Cold War world than did Kissinger. While being sensitive to the importance of incorporating China in ways that were mutually beneficial, Brzezinski was also centrally focused on the non-geopolitical features of world affairs in the 21st century, as well as on the non-statist dimensions of geopolitics. 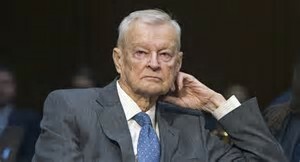 In this regard, Brzezinski was convinced that the future world order would be determined by the outcome of competition among states for the control Eurasia, and that it was crucial for American political efforts to be calibrated to sustain its leadership role in this central arena of great power rivalry. Brzezinski also appreciated that economic globalization was giving market forces a heightened significance that could not be adequately represented by continuing to rely on a state-centric frame of reference in crafting foreign policy. Brzezinski also recognized that a new political consciousness had arisen in the world that he associated with a global awakening that followed the collapse of European colonialism, and made the projection of hard power by the West much more problematic than in the past. This meant that the West must accept the need for consensual relations with the non-West, greater attentiveness to the interests of humanity, and an abandonment of hegemonic patterns of interaction, especially associated with military intervention. He also recognized the importance of emerging challenges of global scope, including climate change and global poverty, which could only be addressed by cooperative arrangements and collective action. What impressed me the most about the late Brzezinski was his clarity about three central issues of American foreign policy. I will mention them only briefly as a serious discussion would extend this essay well beyond a normal reader’s patience. 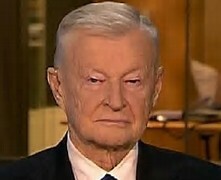 (1) Perhaps, most importantly, Brzezinski’s refusal to embrace the war paradigm adopted by George W. Bush after 9/11 terrorism, regarding ‘the war on terror’ as a dysfunctional over-reaction; in this regard he weighted more highly the geopolitical dimensions of grand strategy, and refused to regard ‘terrorism’ as a strategic threat to American security. He summed up his dissenting view in a conversation on March 17, 2017 with Rachel Maddow as follows, “Yes, ISIS is a threat. It’s more than a nuisance. It’s also in many respects criminal violence. But it isn’t in my view, a central strategic issue facing humanity.” Elsewhere, he make clear that the American over-reaction to 9/11 handed Osama Bin Laden a major tactical victory, and diverted U.S. attention from other more pressing security and political challenges and opportunities. (2) Brzezinski was perceptively opposed to the Iraq attack of 2003, defying the Beltway consensus at the time. He along with Brent Scowcroft, and a few others, were deemed ‘courageous’ for their stand at the time, although to many of us of outside of Washington it seemed common sense not to repeat the counterinsurgency and state building failures oaf Vietnam in Iraq. I have long felt that this kind of assertion gives a strange and unfortunate meaning to the idea of courage, making it seem as if one is taking a dangerous risk in the Washington policy community if espousing a view that goes against the consensus of the moment. The implication is that it takes courage to stand up for beliefs and values, a sorry conclusion for a democracy, and indicative of the pressure on those with government ambitions to suppress dissident views. (3) Unlike so many foreign policy wonks, Brzezinski pressed for a balanced solution to the Israel/Palestine conflict, acknowledging, what so many advocates of the special relationship deny, that the continuation of the conflict is harmful to American wider interests in the region and is a major, perhaps a decisive, source of instability in the Middle East. In his words, “This conflict poisons the atmosphere of the Middle East, contributes to Muslim extremism, and is directly damaging to American interests.” [Strategic Vision, 124] As Jeremy Hammond and Rashid Khalidi, among others, have demonstrated is that the U.S. Government has actually facilitated the Israeli reluctance to achieve a sustainable peace, and at the same time denied linkage between the persistence of the conflict and American national interests. [See analysis of Nathan Thrall (https://www.theguardian.com/world/2017/may/16/the-real-reason-the-israel-palestine-peace-process-always-fails)]. I had not been very familiar with Brzezinski later views as expounded in several books: The Grand Chessboard: American Primacy and Geopolitical Imperatives (1997, reprinted with epilogue, 2012); (with Brent Scowcroft, America and the World: Conversations on the Future of American Foreign Policy (2009); Strategic Vision: America and the Crisis of Global Power (2012). When it comes to Brzezinski’s legacy, I believe it to be mixed. He was a brilliant practitioner, always able to present his views lucidly, forcefully, and with a catchy quality of coherence. In my view, his Cold War outlook was driven toward unacceptable extremes by his anti-Soviet preoccupations. I believe he served President Carter poorly when it came to Iran, especially in fashioning a response to the anti-Shah revolutionary movement. After the Cold War he seemed more prudent and sensible, especially in the last twenty years, when his perceptions of world order were far more illuminating than those of Kissinger, his geopolitical other. lines, no path to military victory, and acute civilian vulnerability. As such, it represents a radical challenge to our traditional understanding of warfare, and unless responses are shaped by these realities, it could drive Western democracies step by step into an enthused political embrace and revived actuality of fascist politics. Already the virulence of the fascist virus dormant in every body politic in the West has disclosed its potency in the surprisingly robust Trump/Cruz run to become the Republican candidate in the next American presidential election. Noticing this reality is not meant to diminish or offer a rationalization for the barbarism involved in the Brussels attacks, as well as the earlier Paris attacks, but it does make clear that intervening in the Middle East, and conceivably elsewhere in the Global South, no longer ensures that the intervening societies will remain outside the combat zone and continue to enjoy what might be called ‘battlefield impunity.’ By and large the sustained violence of the major anti-colonial wars, even the long Vietnam War, were confined to the colonized society, at most affecting its geographic neighbors. In the 1970s and 1980s there were sporadic signs of such a tactical shift: the IRA extended their struggle in Northern Ireland to Britain, and the PLO via airplane hijacking, Libyan explosions in a German disco frequented by American soldiers, and the PLO Munich attack on Israeli Olympic athletes also prefigured efforts to strike back at foreign hostile sources believed to be responsible for the failure to achieve political goals. ISIS seems more sophisticated in the execution of such operations, has the advantages of home grown adherents willing to engage in suicide missions that is often accompanied by a religious motivation that validates the most extremist disregard of civilian innocence. As in any armed confrontation, it is essential to take account of innovative features and opt for policies that seem to offer the most hope of success. So far the public Western responses have failed to appreciate what is the true novelty and challenge associated with the adoption by ISIS of these tactics involving mega-terrorism in the homeland of their Western adversaries as asymmetric ways of extending the battlefield. The attacks of March 22 in Belgium occurred in the departure area of the international airport located in the town of Zaventem, seven miles from Brussels and in the Maelbeek metro station in the heart of the city, nearby the headquarters of European Union. Reports indicate over 30 persons were killed and as many as 250 wounded. The timing of the attack made the motivation at first seem like revenge for the capture a few days earlier in Brussels of Salah Abdelslam, the accused mastermind of the Paris attack of November 13, 2015. It hardly matters whether this line of interpretation is accurate or not. It is known for sure that there are clear links between the Paris events and what took place in Brussels, and the scale of the operation depended on weeks, if not months, of planning and preparation. The essence of the event is one more deeply distressing challenge to the maintenance of domestic public order in democratic space as the conflict that becomes ever more horrible, with ominous overtones for the future of human security in urban environments throughout the world. The hysterical surge of xenophobia is one expression of fear and hate as American politicians debate closing off national access to all Muslims and Europeans pay a large ransom Turkey to confine Syrian refugees within their borders. We are not supposed to notice that recent terrorist acts are mainly the work of those living, and often born, within the society closing its doors to outsiders, moves likely to deepen the angry alienation of those insiders whose ethnic and religious identity makes them targets of suspicion and discrimination. So far, the official statements of the political leaders have adhered to familiar anti-terrorist lines, disclosing little indication of an understanding of the distinctive realities of the events and how best to cope with the various challenges being posed. For instance, the Prime Minister of Belgium described the attacks as “blind, violent, cowardly,” and added a Belgian promise of the resolve needed to defeat ISIS and the threat it poses. François Hollande of France, never missing an opportunity to utter the obvious irrelevance, simply vowed “to relentlessly fight terrorism, both internationally and internally.” And using the occasion for the recovery of European unity so visibly weakened by the recent dangerous tensions generated in bitter conflicts over fiscal policy and the search for a common policy on migrants, Hollande added, “Through the Brussels attack, it is the whole of Europe that is hit.” Whether such appeals to unity will lead anywhere beyond flags lowered and empathetic rhetoric seems doubtful. What should be evident now is that it that not only Europe that is under constant threat, and understandably troubled by the prospect of future attacks, worrying aloud about such menacing relatively soft targets as nuclear power plants. It is virtually the entire world that has become vulnerable to violent disruption from these contradictory sources of intervention and terrorism. What is so far missing from these responses is both a conceptual sensitivity to the originality and nature of the threat and a related willingness to engage in the kind of minimal self-scrutiny that is responsive to the ISIS statement that appears to express its motivation. It is not a matter of giving credence to such a rationalization for criminality, but rather finding out how best to realize what might be described as ‘enlightened self-interest’ in view of the disturbing surrounding circumstances, which might well begin with a review of the compatibility of domestic racism and interventionary diplomacy with the ethics, law, and values of this post-colonial era. From this perspective the iconic conservative magazine, The Economist, does far better than political leaders by at least emphasizing nonviolent steps that can be taken to improve preventive law enforcement. The magazine points out that the significance of the Brussels attack should be interpreted from a crucial policy perspective: the current limitations of national intelligence services to take preventive action that would alone protect society by identifying and removing threats in advance. The Economist correctly stresses that it has become more important than ever to maximize international efforts to share all intelligence pertaining to the activities of violent extremists, although it too avoids a consideration of root causes that can alone restore normalcy and achieve human security. This shift from reactive to preventive approaches to defending the domestic social order represents a fundamental reorientation toward the nature of security threats, and how to minimize their escalating lethality. There are three novel aspects of this type of postmodern warfare: striking fear into the whole of society; creating a huge opening for repressive and irresponsible demagogues in targeted societies; and mindlessly unleashing excessive amounts of reactive force in distant countries that tends to spread the virus of violent extremism throughout the planet more than it eradicates it. As has been widely observed, there is no way to know whether drones and air strikes kill more dangerous adversaries than have the effect of actually expanding the ranks of the terrorists by way of alienation and increased recruitment. It is not yet sufficiently appreciated that the state terror spread by drones and missiles extends to the entire civilian society of a city or even country under attack, making it extremely misleading to treat the lethal impact as properly measured by counting the dead. People living in targeted communities or states all live in dread once a missile from afar has struck, an anxiety aggravated by the realization that those targeted have no way to strike back. The United States reliance on drone warfare in Asia, the Middle East, and Africa has recklessly set a precedent that future generations in the West and elsewhere may come to regret deeply. Unlike nuclear weaponry, there is no likely equivalent for drones to a regime of non-proliferation and there is nothing similar to the doctrine of deterrence to discourage use, and even these instruments of nuclear management, although successful in avoiding the worst, are far from acceptable. These deeper overlooked aspects of the Brussels attack that need to be grasped with humility, and responded to by summoning the moral and political imagination to identify what works and what fails in this new era that places such a high priority on atrocity prevention as an explanation of the most widespread, growing, and intense forms of human insecurity. First, and most significantly, this is an encounter between two sides that ignores boundaries, is not properly equated with traditional warfare between states, and is being waged by new types of hybrid political actors. On one side is a confusing combination of transnational networks of Islamic extremists and in one instance (ISIS) a self-proclaimed territorial caliphate retaliating against the most sensitive civilian targets in the West, thereby adopting a doctrine that explicitly proclaims a strategy exalting crimes against humanity. On the other side, is a coalition of states led by the United States, which has foreign bases and navies spread around the world that seeks to destroy ISIS and kindred jihadists wherever they are found with scant regard for the sovereignty of foreign countries. The United States has long ceased to be a normal state defined by territorial borders, and for more than half a century has acted as ‘a global state’ whose writ the entirety of land, sea, and air of the planet. Secondly, it is crucial to acknowledge that Western drones and paramilitary special forces operating in more than a hundred states is an inherently imprecise and often indiscriminate form of state violence that spreads its own versions of terror among civilian populations in various countries in the Middle East, Asia and Africa. It is time to admit that civilians in the West and the Global South are both victims of terror in this kind of warfare, which will continue to fuel the kind of mutual hatred and fervent self-righteousness toward the enemy that offers a frightening pretext for what now seems destined to be a condition of perpetual war. What has totally changed, and is beginning to traumatize the West, is the retaliatory capacities and strategy of these non-Western, non-state and quasi-state adversaries. The colonial, and even post-colonial patterns of intervention were all one-sided with the combat zone reliably confined to the distant other, thereby avoiding any threat to the security and serenity of Western societies. Now that the violence is reciprocal, if asymmetrical (that is, each side employs tactics corresponding to its technological and imaginative capabilities) the balance of forces has fundamentally changed, and so must our thinking and acting, if we are to break the circle of violence and ever again live in secure peace. The stakes are high. Either break with obsolete conceptions of warfare or discover a diplomacy that can accommodate the rough and tumble of the 21st century. Whether a creative and covert diplomacy can emerge from this tangled web that somehow exchanges an end terrorism from above for an end to terrorism from below is the haunting question that hangs over the human future. If this radical conceptual leap is to be made, it is not likely to result from the initiative of government bureaucracies, but rather from intense pressures mounted by the beleaguered peoples of the world. Part of what is required, strangely enough given the borderless compulsion of the digital age and the dynamics of economic globalization, is a return to the security structures of the Westphalian framework of territorial sovereign states. Perhaps, these structures never actually prevailed in the past, given the maneuvers of geopolitical actors and the hierarchical relations of colonial systems and regional empires, but their ideal was the shared constitutional basis of world order. With the advent of the global battlefield this ideal must now become the existential foundation of relations among states, stressing the inviolability of norms of non-intervention in a new territorially based global security system. This will not overnight solve the problem, and certainly only indirectly overcomes the internal challenges posed by alienated minorities. Obviously, this recommended approach could adversely affect the international protection of human rights and weaken global procedures of sanctuary for those displaced by civil strife, impoverishment, and climate change. These issues deserve concerted attention, but the immediate priority is the restoration of minimum order without which no consensual and normatively acceptable political order can persist. And this can only happen, if at all, by de facto or de jure arrangements that renounce all forms of terror, whether the work of states or radical movements. One of the seemingly permanent contributions of Europe to the manner of organizing international society was to create a strong consensus in support of the idea that only a territorially delimited sovereign state is entitled to the full privileges of membership. The United Nations, the institutional embodiment of international society recognizes this principle by limiting membership in the Organization to ‘states.’ Of course, there is an enormous variation in the size, population, military capabilities, resource endowments, and de facto autonomy among states. At one extreme are gigantic states such as China and India with populations of over 1 billion, while at the other are such tiny countries such as Liechtenstein or Vanuatu that mostly rely on diplomacy and police rather than gun powder and armies for security. All four of these political entities have the same single vote when it comes to action in the General Assembly or as participants at global conferences such at the recently concluded Paris Summit on climate change, although the geopolitics is supreme in the Security Council and the corridors outside the meeting rooms. From the point of view of international law and organizational theory we continue to live in a state-centric world order early in the 21st century. At the same time, the juridical notion of the equality of states that is the foundation of diplomatic protocol should not lead us astray. The shaping of world order remains mainly the work of the heavyweight states that act on the basis of geopolitical calculations with respect for international law and morality displayed only as convenient. Yet the political monoculture of territorial states remains formally the exclusive foundation of world order, but its political reality is being challenged in various settings, and no where more so than in the Middle East. This is somewhat surprising. It might have been expected in past decades, especially in the Middle East and sub-Saharan Africa where the ‘states’ were often arbitrarily imposed a century or more ago to satisfy colonial ambitions and took little or no account of the wishes and identities of the people living in a particular geographic space. Yet without exception nationalist movements and their leaders throughout the world, although aware that the colonial demarcations of boundaries were arbitrary and exploitative, thus lacking the legitimacy of ethnic, religious, and historic experience, nevertheless refrained from challenging the idea that a politically independent state should be delimited by the same boundaries as the prior colonial state. It seems that this worldwide acceptance of the territorial status quo reflected two different considerations. Questioning colonial boundaries would open a dangerous Pandora’s Box filled to overflowing with nasty ethnic conflicts and contradictory territorial claims. Beyond this, achieving control over an existing territorial state was seen in international law as the proper fulfillment for a people seeking liberation through the exercise of their right of national self-determination. Such an outcome was increasingly endorsed as the proper goal of nationalist movements throughout the global South, regardless of whether the ideological animus of a given movement leaned left or right. This conception of self-determination was also endorsed at the United Nations, thereby reversing the earlier acceptance of colonial rule as consistent with international law. Of course, here and there were some rough edges and intense splits at the dawn of the post-colonial era, but surprisingly few of such a character as to produce new delimitations of territorial domain. Malaya split into Malaysia and Singapore, and more significantly, Pakistan broke off from India, and then Bangladesh later split from Pakistan in a bloody struggle. Yet in all these instances the result of political fragmentation was the establishment of an additional coherent territorial sovereign state that had some sort of cultural, religious, or historical rationale. There remain several thwarted movements of national liberation, most notably Palestine, Western Sahara, Kashmir, Tibet, Chechnya, Kurdistan, that is national movements to create independent states that have been under prolonged occupation. It is appropriate to regard these peoples as living in ‘captive nations’ contained by oppressive structure imposed by the dominating state. There is a small degree of ambiguity present as the right of self-determination cannot supposed be validly exercised in any manner that results in the fragmentation of an existing sovereign state. For clarification see UN General Assembly Resolution 2625 on International Law Principles of Peaceful Coexistence, with particular attention to the commentary given with respect to the principle of self-determination. In practice, however, when fragmentation results from successful movements of secession, the new political entities are accepted as ‘states’ for purposes of membership in international society. The breakup of Yugoslavia into component parts illustrates the subordination of the legal principle of state unity to the political realities of fragmentation. There seemed to be no other concept of sovereign political community that challenged the European notion of the state as it evolved out of the Peace of Westphalia (1648). Again there are a few inconsequential exceptions. The Vatican despite being an essentially religious community is acknowledged for some purposes as a state, although denied full membership in the UN. More recently, as a result of decades of frustration, Palestine has succeeded in being accepted by the UN General Assembly as a non-member observer state, but without any right to vote or participate as a member in debates within the General Assembly or Security Council. Palestine as a kind of ‘ghost state’ is accepted as a member of UNESCO, as a state party at the International Criminal Court, and even allowed to fly its national flag outside of UN Headquarters. Perhaps, the most fundamental formal challenge to a purely statist world order arose from the emergence of the European Union. The EU does represent the interests of its 25 member states for many purposes, including at some international conferences. And yet the EU has not been given membership or an independent vote at the UN, nor have there been objections to the permanent membership of both the United Kingdom and France in the UN Security Council. Despite recent tensions associated with fiscal policy, counter-terrorism, and statist reactions to refugee flows, the EU retains the possibility of evolving at some point into some novel kind of post-Westphalian regional polity that represents its members in a variety of global venues, and thus challenges the foundational principles of state-centric world order. Just now the European Commission has issued new rules strengthening European border control in a manner given precedence over Westphalian traditions of national border control. More challenging at present is the meta-territorial operational provenance of the United States, with its vast network of foreign bases, its naval and space capabilities able to target any point on the planet, and its claim of ‘presence’ in all regions of the world. The United States is the first ‘global state’ in world history, with its territorial sovereignty only the psychophysical basis of its non-territorial global reach. It is not an empire as that term was understood to rest on formal and overt control, yet it far from being a normal state that generally confines its security operations and diplomatic claims to its geographic boundaries unless it finds itself involved in a distant war. Sporadic efforts to endow civil society with international status have not gained political traction despite widespread support for the establishment of a ‘global peoples parliament’ modeled on the European Parliament. Populist support for some kind of policy role for civil society at a global level has been reffectively esisted by governments and international institutions opposed to any dilution of the Westphalian template. It is against this statist background that some recent Islamic practices with regard to political community and world order is innovative and challenging. When explaining the revolutionary process in Iran that unfolded in 1978-79, Ayatollah Khomeini insisted that what was happening in Iran should be treated as an ‘Islamic Revolution’ rather than an ‘Iranian Revolution.’ What was being asserted was that the most relevant community was the Muslim umma, which has not been actualized in recent times but deserves the primary loyalty and adherence of believers whatever their location in national space happens to be. Such a view was more aggressively articulated in the declarations of Osama Bin Laden whose worldview was Islamic, transcending the secular realities of statehood and nationalism, and expressing what might be described as an Islamic Cosmopolitan worldview. The most significant challenge of all directed toward state-centricism has been mounted by ISIS, and especially its proclamation of a new caliphate in the Middle East, whose contours were based on its de facto territorial governance patterns in Syria and Iraq rather than on the boundaries of existing sovereign states. ISIS leaders also boasted of ‘the end of Sykes-Picot,’ the Anglo-French originally secret agreement in 1916 that led to the formation of the modern statist Middle East in the territories formerly administered by the Ottoman Empire. It was this Sykes-Picot colonialist vision that successfully undermined Woodrow Wilson’s post-colonial advocacy of self-determination as the organizing basis delimiting the Middle East after World War I. So far, ISIS has made good on its claim to govern the area it controls by sharia law strictly applied, and has thus managed to defy the sovereign territorial authority of both Syria and Iraq. ISIS is sometimes described as a ‘quasi-state’ because of its territorial control but utter lack of international diplomatic legitimacy, and perhaps because its durability has not been established for a sufficient length of time. There are at least three elements of this non-state pattern of control that are worth noticing. First, ISIS seems to have no current goal or prospect of being internationally accepted as a state or to be treated as a vehicle of self-determination for Syrians and Iraqis living under its authority. ISIS rests its authority to govern exclusively on a sectarian Sunni claim to be applying sharia to those living under its authority. Secondly, by discrediting those Sykes-Picot states that were imposed on the region after World War I ISIS is claiming for itself a superior political legitimacy to that conferred by international diplomatic procedures or through admission to the United Nations, and the claim has some resonance for those living under its dominion. Thirdly, significant portions of the Sunni population that is dominant presence in the ‘caliphate’ welcomed ISIS, at least at first, as a liberating force freeing the population from Shia oppression and discrimination and more effectively offering social services at a grassroots level. In effect, ISIS has effectively, if harshly, raised questions about the political legitimacy of states imposed by colonial authority and accepted by indigenous nationalist movements during the process of achieving political independence. This questioning of European statism in the Middle East is likely to be more enduring than ISIS itself. From an ethnic angle, the Kurdish movements in Iraq, Turkey, and Syria, never having been content with Sykes-Picot borders are now constituting new ethnically delimited political communities that in Iraq and Syria possess the attributes of de facto states. As with ISIS, these emergent entities are being called quasi-states or states within states. In other words we are so entrapped in statist language that we must misleadingly link these innovative political realities to the statist framework. From this perspective it is worth noticing the double proposal of the neocon former American ambassador to the UN, John Bolton. [See “To Defeat ISIS, Create a Sunni State,” NY Times, Nov. 24, 2015] As a resolute interventionist, Bolton wants the West to go all out to destroy the ISIS caliphate, but couples this militarist initiative with the rather startling assertion that Iraq and Syria have lost their statist entitlement to reclaim these territories. Instead, “Washington should recognize the new geopolitics. The best alternative to the Islamic State in northeastern Syria and Western Iraq is a new, independent Sunni state.” As might be expected, Bolton’s rationale is totally neo-colonial in conception and implementation, proposed by a Washington insider, designed to keep Moscow out, to restore U.S. influence in the region, and to support indirectly the anti-Shiite goals of the Gulf monarchies. In other words, what Bolton favors is remote both from Westphalian logic and from the practice of self-determination. True, Bolton’s Sunni state is an externally imposed political construction that is expected to be accepted as a traditional state with authority limited to its international borders. This contrasts with the ISIS caliphate that claims authority based on its extreme Salafi interpretation of Islam, and while it maintains and guards the borders that define the territory under its control, its claimed community of adherents is non-geographical, and notions of citizenship and nationality do not apply. It is suggestive that even Bolton opposes an American approach based on “striving to recreate the post-World War I map.” What makes Bolton’s proposal of interest is only that it unwittingly confirms the ISIS challenge to the legitimacy of how Europe constructed the post-Ottoman Middle East in the colonialist atmosphere that remained dominant after World War I. It seems obvious when considering the complexity of the world as it now functions that the Westphalian model of state-centricism is no longer, if it ever was, descriptive. To take account of the realities of the U.S. global state, the EU, and ISIS requires a more hybrid framework of concepts, policies, and practices that also is more sensitive to multi-level linkages of authority and power, as well as the elaborate patterns of transnational networks and localized systems of control that produce the complex governance structures that provide billions of people with order and stability on a daily basis. A fuller inquiry into these diverse organizational structures would also need to incorporate the role of transnational corporations and financial institutions that create the operational and exploitative realities of neoliberal globalization. What separates megaterrorism from other more customary forms of terrorism is the theme of this post. It is not possible to give a precise definition of megaterrorism by pointing to a threshold of casualties or the magnitude of response. Each megaterrorist event is decisively shaped by its distinctive sociopolitical and psychological context. The focus here is take account of this radical new category of threat posed in a variety of settings, critique the ‘war’ reflex and the war/crime binary, briefly consider alternate paths of response, and recommend risk and cost assessments that take into account adversary responses to the prescribed response. The 21st century experience with responding to megaterrorist events does not create confidence in either most conceptualizations of the challenges being posed or the responsive strategies chosen to be implemented. The horrific Paris attacks of November 13th challenge the West more deeply in some ways than did the 9/11 attacks 14 years ago. The attacks on the Pentagon and World Trade Center mounted by al-Qaeda were directed at the twin centers of American power: global military dominance, and were in reaction to especially large-scale deployments of American armed forces near the holiest of Islamic religious sites in Saudi Arabia in the early 1990s. There was a terrorist logic associated with striking such symbolic blows, although it aroused an American led unified Western response that was relied upon as a mandate for intervention in Afghanistan and then started to fracture when extended to Iraq after failing to win approval from the UN Security Council. These wars have had the major ‘blowback’ effect contributing to the origins and emergence of the current primary menace of ISIS, above all by its willingness to send suicide bombers to attack ‘soft targets’ of ordinary people that included in Paris a sports arena, a music hall, and several neighborhood restaurants in the city center. In other words, to a greater extent than even was the case with Osama Bin Laden’s manifestos, ISIS has initiated a merciless totalizing campaign against the West, soliciting followers and recruits from around the world, and appears to have the will and capability to continue the effort for the foreseeable future no matter what retaliatory blows it receives as a result of intensified Western military efforts. Such a grave crisis is deepened, rather than mitigated, by the bellicose stupidity of François Hollande who immediately after the event declared ‘war’ on ISIS, promising to be unremittingly merciless in response. Hollande’s words to the French Parliament: “The acts committed on Friday night in Paris and at the Stade are acts of war. This constitutes an attack against our country, against its values, against its youth, against its way of life.” In so framing the French response Hollande repeats the muscular mistakes of George W. Bush. It should be clear by now that ‘war’ with the West is not only what these movements claim and seek, but its nature is such that the capabilities at the disposal of the West, magnify rather than reduce or eliminate the threats posed. Or as maybe more precise, seemingly at first effectively reduce the threat, but later on find that the original threat has somewhat changed and been displaced, and is emergent anew in a somewhat altered, yet even more extreme form. In this regard, there was the belief that when Osama Bin Laden was found and executed, al-Qaeda had been most destroyed and substantially contained, Yet it did not take long that the earlier megaterrorist threat had shifted its locus to ISIS and its various ‘cosmic warriors’ (Mark Juergensmeyer) spread around the world who make it their mission to resort to mass indiscriminate violence against purely civilian targets as a matter of religious devotion. One alternative response available to Hollande was to denounce the acts of 11/13 as a monstrous ‘crime’ that called for an unprecedented national and international law enforcement effort. This is the manner in which such non-state violence of political extremists has been addressed before 9/11 and should at least be considered in response to a metaterrorist event before leaping into the fires of war. It remains instructive to examine the Spanish response to the March 11, 2004 Madrid train bombings, a megaterrorist event as measured by the scale of the casualties and the fear generated. The political leader in Spain at the time, José Maria Asner, a junior coalition partner of the American invasion and occupation of Iraq defying Spanish public opinion that opposed such involvement. After the Madrid bombing Asner immediately pointed an accusatory finger at the Basque Separatist movement, ETA, which turned out to be wrong, and his fear-mongering was evidently resented by many Spaniards. The real culprits turned out to be Moroccan Muslim extremists. It happened that there was a national election in Spain a few days after the bombing, Asner was defeated, and the Spanish Socialist Workers Party prevailed, resulting in José Luis Rodríguez Zapatero becoming the new head of state. As the new leadership promised in its electoral campaign, the Spanish government quickly announced the removal of its troops from Iraq and simultaneously embarked on an all out hunt for the criminals. In effect, by removing Spanish troops, the Spanish government was not only respecting the public will of its citizens but also indirectly acknowledging the legitimate grievances associated with the unlawful regime-changing attack and occupation of Iraq. This response to the megaterrorist challenge in Spain could not, of course, remove the deep and tragic personal losses resulting from the attacks, but Spanish society was allowed to move away from shadows of fear, and has not experienced subsequent major terrorist events. This conjunction of circumstances in Spain will not always be present, and the originality of the megaterrorist challenge, neither can often not be met by the mechanical application of either paradigms of war or crime as traditionally understood. We lack the language or the public awareness needed to capture the dark originality of megaterrorism, and hence often seem to be acting ineffectively or even in a manner that increases the threats of recurrence. At times, the gravity of the event is so great that an aroused and frightened citizenry demands and expects an immediate and proportionate response that usually cannot be generated by acting within the crime paradigm, and yet the war paradigm while responding to public outrage tends to produce policies that spread havoc, expand the zone of strife and devastation, and in the name of security encroach excessively on domestic freedoms at home. This combination of action and reaction is descriptive of the American experience post-9/11. This American case was further complicated by the fact that neoconservative political leadership controlled the U.S. Government response, and as a result the counter-terrorist response became intertwined with quite distinct and controversial grand strategy goals in the Middle East that largely account for the American led decision to attack and then occupy Iraq in 2003. The American Vice President, Joe Biden, seemed recently to retreat from ‘the war on terror’ discourse, but only slightly. Biden argued not for war, but unconvincingly urged raising the level of interventionary violence higher against ISIS as the right course of action after Paris, above all, to demonstrate an enhanced commitment to the defeat of ISIS. Biden believes “everyone knows what needs to be done and there’s no doubt we’ll prevail, but we need to do a hell of a lot more. We all have to step up our level of engagement: more troops, more planes, more money. This thing will go on for years unless we do.” Depressingly, the Democratic presidential hopeful, Hilary Clinton, told the Council of Foreign Relations more or less the same thing a few weeks ago, just prior to the Paris attacks. Obama as is his way, seemed to recognize the undesirability of an open ended or permanent war posture without altering the analysis and essential response of his neocon predecessor in the White House. [See speech defending drone warfare at the National Defense University, May 23, 2013] After Paris, and in response to the shooting in San Bernadino, California there is a renewed insistence by the Republican opposition that America is ‘at war’ whether its elected leader acknowledges it or not. All of these views, despite covering a range of tactical positions, hold in common a shared militarist definition of the proper response to the ISIS threat. Further the response is exclusively focused on offensive tactics and weaponry that are intended to destroy this elusive enemy, but without much prospect of doing so. There is no commitment discussed or made to defending those minorities that are threatened with ‘boots on the ground’ or exploring what kind of political options might make sense. It should not be forgotten that the core capabilities of ISIS arose in response to the anti-Sunni and oppressive tenor of the American led regime-destroying occupation of Iraq that lasted for more than a decade and had been preceded by a devastating UN authorized air war in 1991 that was followed by a punitive peace, featuring a sanctions regime imposed for over ten years that is believed responsible for several hundred thousand Iraqi civilian deaths. The fact that some of the elements of this enormous crime committed in Paris were transnational is not decisive in altering its character. By elevating the status of ISIS to that of a belligerent against whom it is necessary to mobilize the society that was targeted perversely adds to the gains of the attacker, and creates incentives for it to do more of the same. If handled as a version of the most dangerous type of crime that deeply threatens human and state security, the society would still be fully mobilized to protect itself as fully as practicable, and other governments would become more inclined to do whatever they can by way of cooperative criminal law enforcement. The magnitude of the crime could be further recognized by prosecuting the Paris attacks as an international crime against humanity as well as the most serious of violations of French criminal law. This was the approach taken centuries earlier by many governments to international piracy. The entire world was presumed to have a shared interest in suppressing piracy, and many governments cooperated to prevent and punish, and continue to do so in response to modern piracy. The realization that the criminals engaged in the Paris attacks had grown up in the heart of Europe further compounds the mistake of externalizing the evil, situating the threat in the Arab World, antagonizing even more the people suffering in that already inflamed region, and in the process inflating the stature of the criminals as combatants in a war. The Bush/Hollande way of reacting also is harmful in two other fundamental respects: it precludes attention being given to root causes and steadfastly refuses self-scrutiny that might lead to some acknowledgement that extremist motivations of the criminal perpetrators might have taken shape in reaction wholly or partly to legitimate grievances. The best sustainable remedy for terrorist violence, whether large or small, is to address its root causes and legitimate grievances. Otherwise, as even some conservative and militarist political figures have admitted (including Rumsfeld, Mubarak), recourse to warfare, whether by war through a concerted campaign (e.g. Iraq) or by a program of targeted assassinations (e.g. drones) quite possibly generates many more militants than it eliminates, and certainly spreads the zone of violence and devastation more widely causing massive displacements of people, generating refugee flows that give rise to the sort of deep alienation and anger that creates a new pool of recruits that can be attracted to extremist causes, as well as encourages a reactionary backlash in whatever countries are chosen as sanctuaries. More significantly, to avoid self-scrutiny by opting for unconditional war is to miss the best opportunity to undercut in the long-term the extremist rationale for attacking the West. It needs to be better appreciated that extremism does not flourish in a political and moral vacuum. It is probably the case that ISIS cannot be fully explained as a reaction to regional sectarianism, the Palestinian ordeal, and the mayhem brought to the people of Iraq, but absent the widespread sense of injustice associated with Israel’s regional role and millions resultant deaths and displacements, which partly embody the outcomes of the U.S. geopolitical agenda, the emergence of al-Qaeda, al-Nusra, and ISIS might never have happened, at least in their present form. Such a conclusion is reinforced when it is appreciated that the Arab governments, dependent on American protection, proved incapable, and in the end unwilling, to secure even the most minimal post-colonial interests and honor the values of Islamic and Arab peoples, including the provision of jobs and the elimination of extreme poverty. Arguably, given the Sykes-Picot legacies, including the artificial state formations of a century ago, the region has never yet managed to cast off the colonial mantle. In conclusion, when dealing with the traumas and threats posed by megaterrorist movements it seems appropriate to acknowledge that neither the war nor the crime template as conventionally understood is capable of providing satisfactory answers. The context must be considered, and like skillful chess players a response should not be undertaken without evaluating the likely range of responses of ISIS and others to a range of possible Western responses. It is easy long after the fact to critique what the Bush presidency started to do on 9/12, but doing this in retrospect overlooks the actuality and intensity of the 9/11 challenge. Of course, when the Iraq War was folded into the counter-terrorist rationale that was initially internationally accepted with respect to launching an attack on al-Qaeda in Afghanistan, it became obvious that other controversial American strategic goals were being pursued, and that the likely result would be a major foreign policy failure as well as an aggravation of the megaterrorist challenge. Beyond this, an unlawful invasion of a sovereign state by the leading member of the UN strikes a severe blow at the authority of UN Charter and the core norms of international law limiting force to situations of self-defense absent Security Council authorization. As the French response to 11/13 confirms, nothing much has been learned about how to address the distinctive challenges of mega-terrorism. To encourage such learning four preliminary policy prescriptions can be endorsed: (1) the importance of restoring respect for UN authority and international law in the shaping of responses to megaterrorist challenges, including some further development of international law; (2) the need to develop a template for addressing megaterrorism that is more sophisticated than mechanically than opting for either/or logic of war or crime; (3) the revision of tactical and strategic thinking to include a process of looking ahead beyond the response to a megaterrorist event to envision as well as possible the chain of responses and counter-responses likely to ensue; (4) the practical desirability of making and taking account of assessments of root causes and legitimate grievances in clarifying the interpretation of the motivation of those who support, plan, and enact megaterrorism and with an emphasis on the reduction and eventual elimination of such threats to societal wellbeing.